Plastics commonly used in food packaging can leach hormone-disrupting chemicals into food and beverages. For example, BPA is often found in the plastic lining of canned goods, as well as in hard, clear plastic items such as older water bottles. 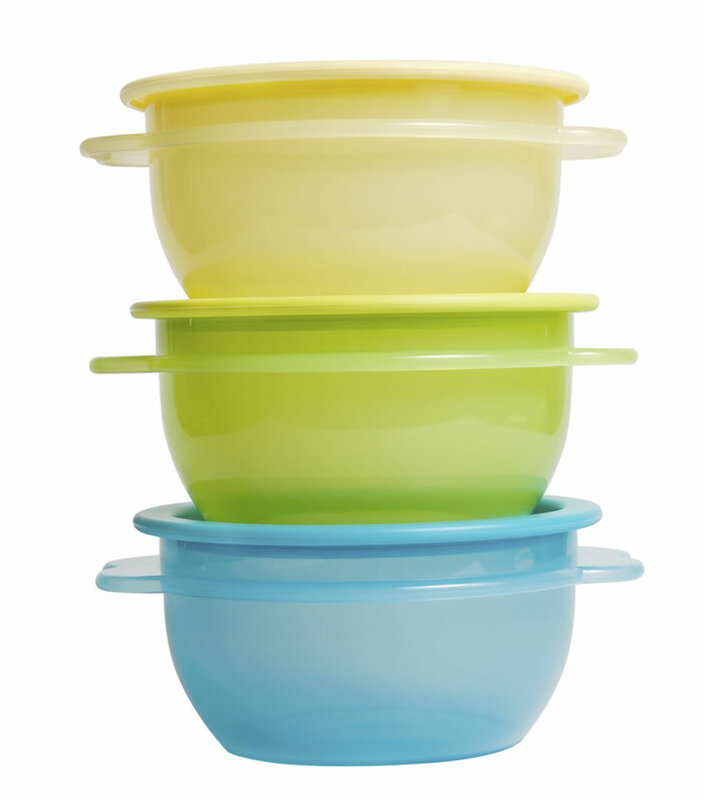 Phthalates are chemicals routinely added to make plastics more flexible. These compounds are found in a range of products from plastic containers and food wrap to shower curtains. Drink out of glass or stainless steel bottles. And eat fresh foods that aren’t wrapped in plastic - it’s healthier for you and the environment! Never microwave anything in plastic—heat causes chemicals to leach into the food or liquid. And don't be fooled by labels on containers that say “microwave safe.” That merely means it's safe for the container, not your health. Instead of storing your leftovers in plastic, store them in glass or stainless steel containers. Food and liquids stored in plastic absorb chemicals from the containers, especially fatty and acidic foods.